Heartland Symphony Orchestra begins its 2015/2016 season on Sat. and Sun. Oct 10 & 11th in Little Falls and Brainerd performing musical highlights of a “Scandinavian Holiday” and debuting new conductor and music director—Chun-Ming (Jimmy) Chen . Dr. Chen was born in Taiwan and in 2006 came to the United States to further his musical studies and career. He received his master’s degree in orchestral conducting form Boston Conservatory and Ithaca College, and a doctorate in orchestral conducting for the University of Iowa. Chen resides in Iowa City where he directs the choir at First Baptist Church and is conductor of the Grinnell College Symphony Orchestra in Grinnell, IA. Chen began his musical training at the age of 17 when he joined his high school band as a drummer and then as saxophone player. Following high school he received a bachelor’s degree in saxophone performance from Tunghai University where he became a concerto competition winner performing Jacques Ibert’s Concertino da Camera. Prior to coming to the United States, he served in Taiwan’s Ministry of National Defense Band. 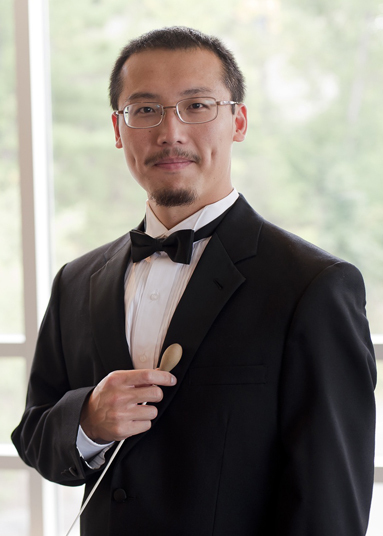 Previously, Chen served as acting music director of the Coe College Symphony orchestra in Cedar Rapids, IA, Co-director of the Ithaca College Sinfonietta in Ithaca, NY, and Director of the Massachusetts Institute of Technology Chinese Choral Society in Boston, MA. He has appeared as guest conductor with the Tunghai University Opera department and Miaoli Wind Ensemble, Greater Boston Chinese Cultural Association Choral Society, Cornell Symphony Orchestra, Ithaca College Chamber Orchestra, Ithaca College Symphony Orchestra, and the University of Iowa Symphony Orchestra. Special guest artists and conductors, local soloists and ensembles, area youth concerto winners, and charming repertoire commentary all help to make each concert unique and entertaining. The HSO also contributes its service to communities through music education programs, special events, and ticket giveaways. For more information, to receive a free HSO season brochure of upcoming concerts, to order your tickets, or to get involved either as a player or HSO sponsor, please go to website www.heartlandsymphony.com, email HSO at HeartlandSymphony@gmail.com or call 1-800-826-1997.